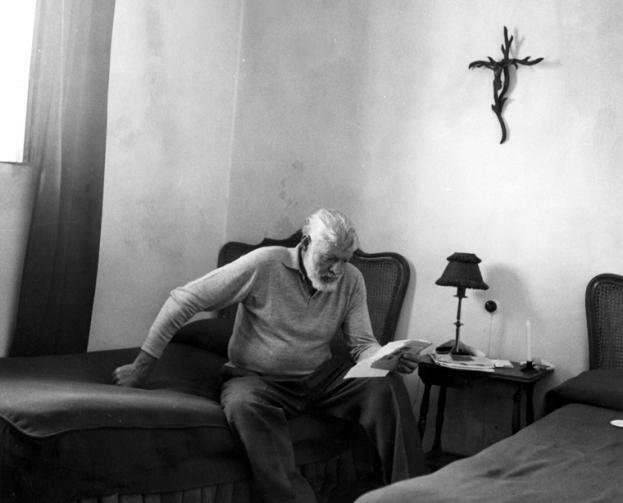 Augustine Himmel offers a piece on why he prays for Hemingway’s soul in a piece for americanmagazine.org. In graduate school, a friend and I, both Hemingway aficionados, would try to stump each other by quoting lines from the famous writer’s fiction. I had a bit of an advantage because I was a few years older than my rival and had already taught Hemingway to high school students. And so, familiar with even obscure works like “A Man of the World,” which adolescents enjoyed, I never lost one of our good-natured contests. Yet despite my devotion to the Nobel Laureate, I never thought two decades later I'd be praying for his soul. …Far from being a nihilist, he had an interest in Catholicism even before his 1927 marriage to Pauline, and though he practiced the faith imperfectly, to say the least—four wives, several affairs—it always remained important to him and permeates much of his fiction. Santiago, after all, means St. James, and in 1954 Hemingway formally presented his Nobel Prize Medal to Our Lady of Charity, the Patroness of Cuba. Yet I do not pray for Hemingway because he was Catholic, but rather because through his writing he has been a friend of mine, and in 1961, two years before I was born, he put the twin barrels of a shotgun against his forehead and committed suicide.